On my second day in Fethiye, I got on the road again after a nice breakfast at the hotel, this time towards Oludeniz Beach. Before departing from Hisaronu, I thought about having a look at a couple of flats for sale, but all the shops were closed as it was a Sunday, which I didn’t consider initially. 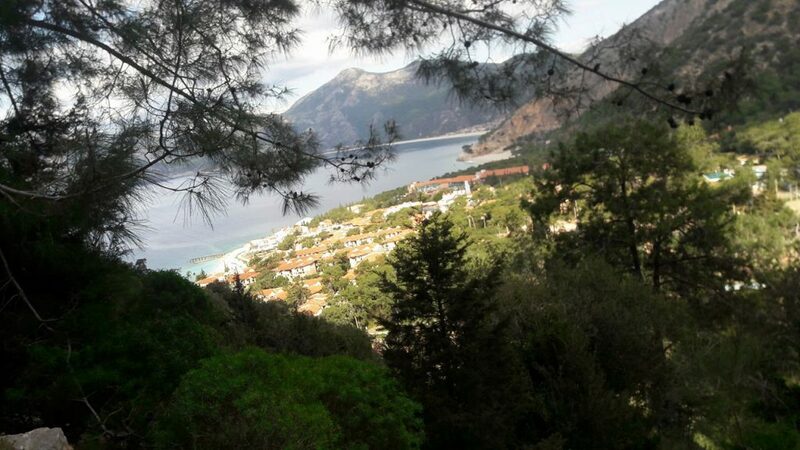 It was another sunny and beautiful day, and the road was downhill which made it easier to walk the roughly 3.5 to 4 km distance to Oludeniz Belcekiz Beach. And as I stopped on the road a couple of times and took photos because it was so pretty, it took me 45 minutes to get to the main beach area. 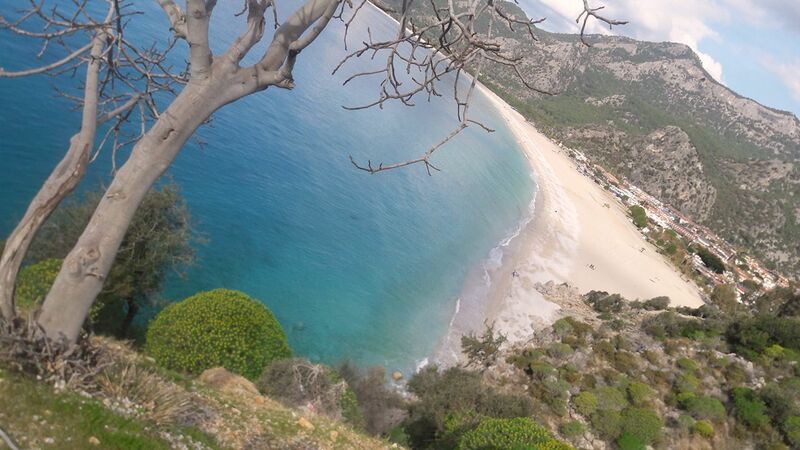 Some of the shops were open here, and the famous paragliding activity of Oludeniz was also on in the middle of winter. I think many of the hotels were shut over winter and some were preparing for the season to start in April. 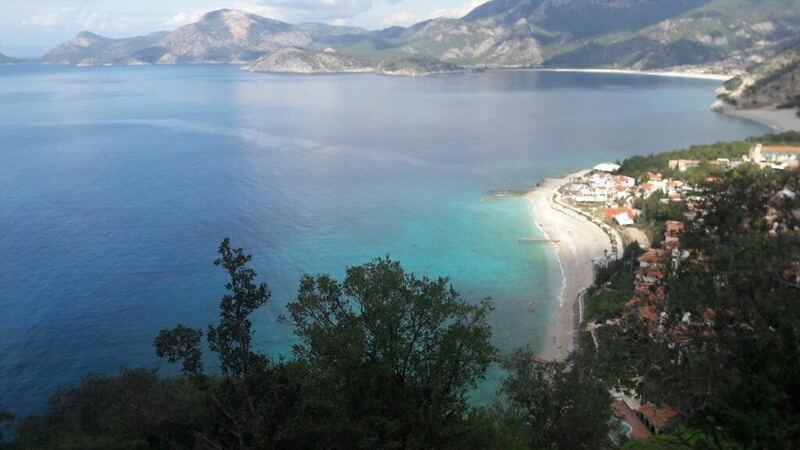 I walked along the main long Oludeniz Beach (Belcekız) a bit, which is quite beautiful and separate from the lagoon on the right that you often see in Oludeniz travel photos. And I tried to see what would be the shortcut to Butterfly Valley and a man came up to me and told me how to get there easier and pointed where the valley and Faralya were. They looked pretty close but he told me it would take two to three hours to get there on foot. And he offered his “paragliding” as another option to see all of the bays and the valley. And I wasn’t expecting that coming :). I don’t mean just about Turkey, wherever I go in or out of the country, everyone is so sales focused. Don’t get me wrong, Turks are genuinely friendly and the folks of this Mugla and Fethiye region seem to be a lot nicer than people I meet in Istanbul, for the obvious reason of lack of big city stress. 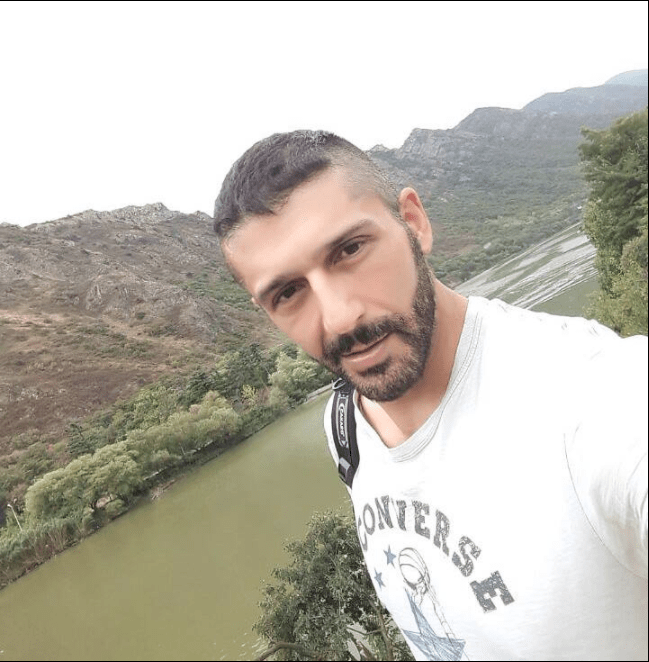 This is something I obviously can not decide just in a few days of holidays but whenever I get out of Istanbul and go somewhere in Anatolia, to the cities or even the conservative small towns, life seems to be a lot more laid back than Istanbul. People are much friendlier and more helpful. As close as Faralya seemed from a distance, you walk on a sloping and rolling road that goes for hours on foot. You have around 7 km till you get to the beginning of Butterfly Valley and about 3.5 km more to the villages of Faralya and Uzunyurt. And if you will walk to and from Faralya, you’re looking at 6 to 7 hours of walking, which can be quite a lot. The sceneries on this road looked different than what I had over on Kayakoy road. Faralya side is rockier and there are many cliffs along the coast and green forests were more dominant on the other side. As you climb up and down this road, you come across many weird lush landscapes and rock formations and wonderful steep cliffs. And I was also told that this same road continues all the way to the coast of Antalya through Kas, Kalkan, and Kemer etc. But I am not sure who could possibly walk can walk that that distance. Well maybe over several days. At one point I saw the famous Babadag Mountain that was covered with clouds and looked stunning. Although this is a long and hilly road and that I was on my own and there weren’t many people doing the walk due to the low winter season, it was quite hard to get bored of the beauty of all the landscapes. Yes, it is quiet there in winter but I can’t imagine doing this walk during the day in the sun in summer. I think the trekkers start super early in the morning so they don’t suffer the sun, and on the way back they would be taking the dolmuş (minibus). I came across a public transport only once on my way there, even though I was told they worked by the hour all day long. Or I just didn’t pay enough attention, and there would definitely be transport every hour in peak season. Faralya or Uzunyurt- The Same Place? There is a beautiful small village named Faralya and the villagers are definitely very lucky to be living in such a beautiful setting. Most of the village houses seem to have spectacular views over the valley and sea. There aren’t many houses or buildings in this region, though, which must be partly because of the difficulty of access to city and civilization. You may have seen how much concrete there is in some of the Turkish resorts. If a resort becomes popular, three to five level buildings start appearing everywhere. There is a confusion over Faralya and Uzunyurt being the same or separate places, let’s get that clear here. The part formally known as Faralya, also known as Hisar district is part of the larger Uzunyurt township and includes many houses with pretty gardens. Other small villages connected to Uzunyurt are Kızılcakaya, Kirme, Kabak and Kozağaç. If you drove up here from Fethiye or Oludeniz, or if you have the energy to walk, please do not leave the area before seeing the Kabak village and bay. That is certainly another spectacular part of Faralya. If you want to stay here overnight, you will find a few boutique hotels, budget rooms and even yoga retreats in and around these villages. As Faralya is the largest of these villages and probably with a nicer sounding name, this whole area is known as Faralya, including the Uzunyurt village. 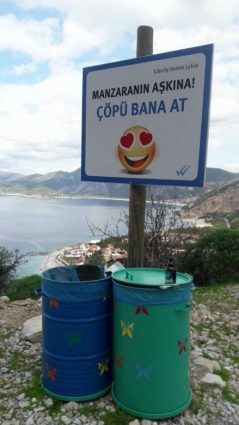 This is a very beautiful part of the world, for sure. I didn’t go all the way down to the beach at the bottom of the Butterfly Valley since I’ve already walked a lot up the winding road, but had a look and took a couple of photos from up the cliff. 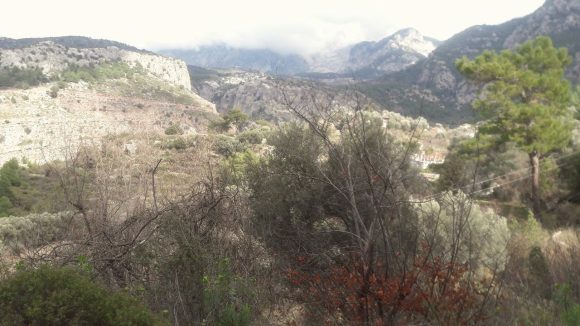 And I continued all the way towards Uzunyurt and Kabak and there was not even a sign of public transport. 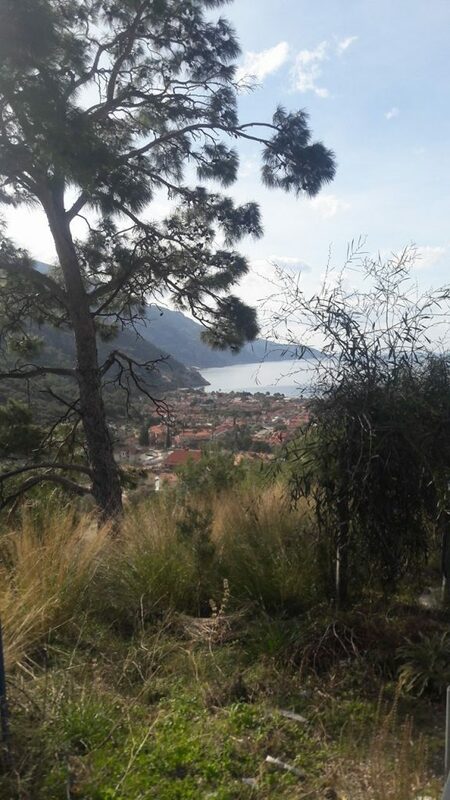 And I felt really tired so I returned towards Oludeniz, thinking I would take the minibus on my way. I thought about hitchhiking but I didn’t and an older Turkish couple stopped on the way. They were living in Ovacik – Hisaronu near my hotel, which was great and they took me to the hotel. The drive took a bit over 20 minutes, which would normally last three to four hours and ruin my feet and knees too. Boat between Oludeniz and Faralya? 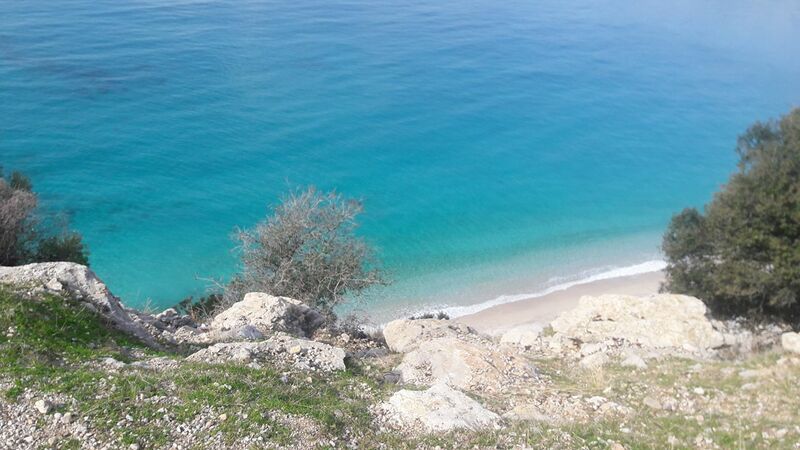 In the summer months of June, July, and August, you also have the option of taking a boat between Oludeniz Beach and Faralya: Three times a day, once in the morning at 11 am, then at 2 pm and 4 pm in the afternoon. This trip costs 15 liras return, about 4 dollars, so it is quite affordable. It is also a very normal and safe practice to hitchhike on this road, and I wish I have known this in advance :). And I have to mention a small restaurant in Hisarönü, the very first one one next to the real estate agent on the left when you’re driving on the main road from Fethiye to Oludeniz, just across the ATM’s. I think it was called Hangu Pangıs, it was very cheap and the taste of the meals was very nice. It cost me hardly anything to get 4 small dishes, a complimentary dessert, and a tea. So the meals tasted really nice even though I wasn’t really hungry at all, as I had chips before the meal.